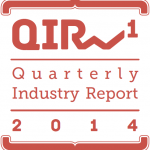 A Brief Look at QIR1 Article on Digital Currencies: Is Cryptocurrency Trading the Future? Following a tumultuous start to the 2014 calendar year, digital currencies were thrown into a state of flux following the collapse of the largest Bitcoin exchange, MtGox. 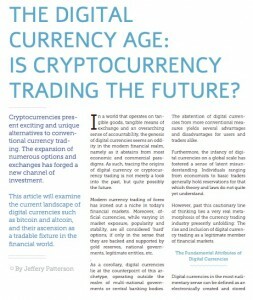 Forex Magnates investigated the current state of digital currencies and altcoins, as well as an analysis of some of the most prevalent issues facing these instruments. Digital currencies, and especially Bitcoin, has experienced a huge run up in valuation leading up to the end of the year – that is until China and other countries erected several mechanisms in place that collectively led to a downturn in prices across digital currencies. The main challenges facing digital currencies such as Bitcoin has been its inherent risk and ties to money laundering and illicit activities. Indeed, the past few months have been rife with scandals and several allegations surrounding leading industry officials. Furthermore, the industry was dealt a blow with the utter collapse of MtGox, the largest exchange for Bitcoin by volume. However, despite these woes, the digital currency industry has remained remarkably resilient, having adapted to new regulations and taxation across a variety of countries and locales. 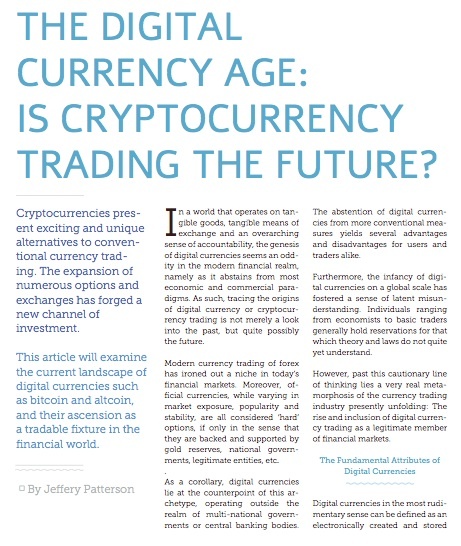 What Digital Currencies Are the Most Widely Traded? Forex Magnates has compiled data which entails the present distribution of volumes across exchanges, including both Bitcoin and altcoins. In addition, the report details the most widely traded digital currencies that are available for users today across different regions. Lastly, Forex Magnates reached out for a unique perspective from one of the industry’s upstart Bitcoin exchanges, itBit, having spoken with its Business Developer, Antony Lewis. In the report, Lewis weighs in on the present issues facing the industry, along with the behavior of volumes in the aftermath of the MtGox bankruptcy. To access the full story, the Forex Magnates Quarterly Industry Report (QIR) for Q1 2014 is now available, and contains nearly everything you need to know that transpired during Q1 for Foreign Exchange, including a look ahead at the next Quarter that has already begun.